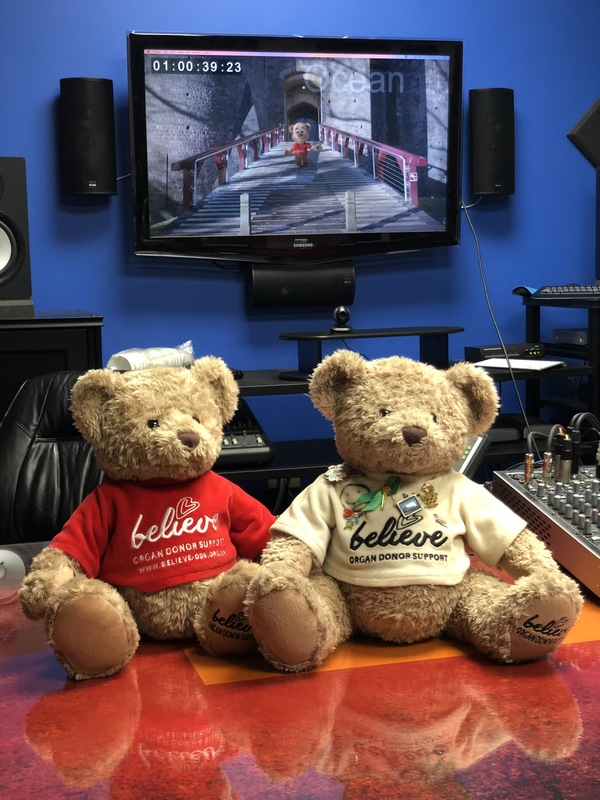 A behind-the-scenes documentary promoting the making of the Believe: Organ Donation Support charity’s ‘Fraser Bear’ animated organ donation video was launched 13th June at an event at the Senedd in Cardiff, Wales. Anna-Louise Bates, who set up Believe charity after her husband Stuart and seven-year-old son Fraser were fatally struck by a car in December 2015, has worked with Mike Young, the Welshman behind iconic 80s children’s show, SuperTed, to create a film to help educate students on organ donation. The animated film, which was scripted by Anna-Louise and voiced by a local Cardiff schoolboy, shows an animated version of the Believe charity mascot, Fraser Bear – the nickname Anna-Louise and Stuart had given to their son – explaining how his organs have gone on to save the lives of four people. A live-action documentary detailing the making of the animated film has now been produced by On Par Productions and was shown to guests at an event held at the Senedd. Utilising the script from the animated project, the documentary features case studies detailing the “hard reality” behind organ donation. The charity’s aim is for the animated film to be made available as a teaching resource to all primary schools in Wales, in an attempt to destigmatise the subject of organ donation, and get young children and their families talking about it. Anna-Louise, said: “This has been an extremely emotional project for me. Since losing Fraser and Stuart, I’ve been campaigning to promote the importance of organ donation to ensure something positive comes out of our family’s suffering. “While we have an opt-out policy in Wales, talking about organ donation is still very much seen as taboo, especially with children. Many teachers have explained to me that they do not know how to broach the topic of organ donation with their pupils. 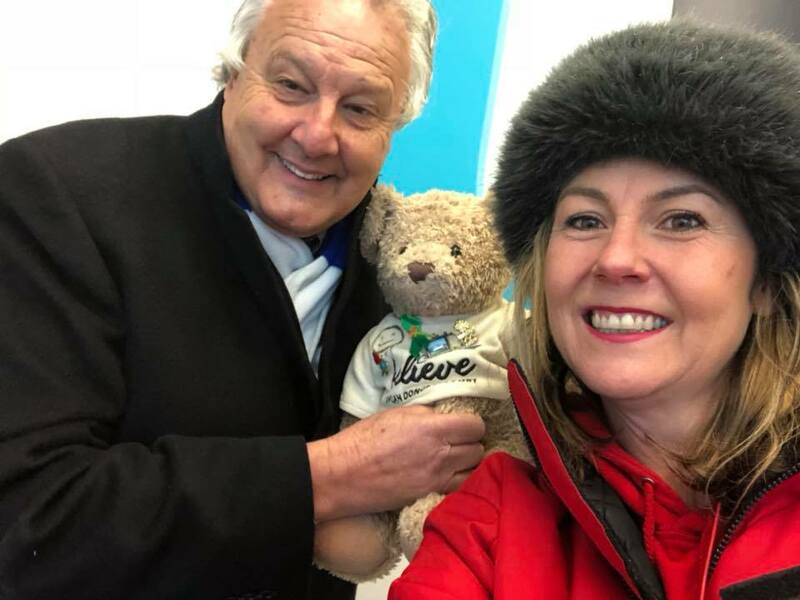 I’m hopeful that the Fraser Bear animated film, and this live-action documentary, will help provide teachers with the tools necessary to educate children on organ donation, and to help the next generation feel less stigma when discussing the topic. Mike Young, who now lives in LA, working on projects such as the animated feature film, Norm of the North, and the hit series, Kulipari, said he felt honoured to have been asked to create this film for the charity, and has been emotionally moved by the documentary, and the need to understand more of the reality involved in organ donation. Sian Smith, Deputy Head of Llanwern High School, who is featured in the documentary, has already said that she is ready to show this to her pupils in September. Health and Social Services Secretary, Vaughan Gething, said: “Anna Louise’s commitment to establish the Believe charity in memory of her husband Stuart and son Fraser, to encourage other families to discuss their decision over organ donation is inspiring. The Fraser Bear animation and the documentary are excellent ways to deliver an emotive subject like organ donation to young children.